Approved 2016 housing allowances for rostered Synod staff members. Provided a waiver for Grace Lutheran Church in West Point allowing it to consider its transitional pastor as a candidate for a call should it wish to do so. Approved the creation of two Synod ministry networks, one for World Hunger and one for Disaster Response. Appointed Rev. Sarah Cordray to serve on the Nebraska Synod Strategic Mission Vision Oversight Team. Approved a travel reimbursement policy for members of Synod committees and task forces, limiting members’ reimbursements to two meetings per year and promoting the use of online and electronic meetings. Approved an appropriation of up to $30,000 from the Synod Contingency Fund for the current fiscal year. 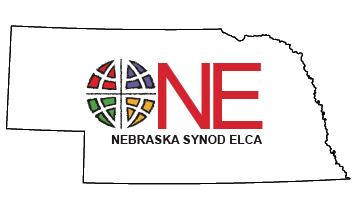 Authorized all ordained ministers, associates in ministry, deaconesses, and diaconal ministers who are currently on the Nebraska Synod roster, are on leave from call, and are not otherwise authorized to serve as voting members of the Synod Assembly to serve as voting members of the 2016 Nebraska Synod Assembly. Designated the offering from the 2016 Synod Assembly offering for Disability Ministries as part of the Nebraska Synod’s response to the Campaign for the ELCA. Approved constitutions for Living Grace Lutheran in Omaha and the Sudanese Messiah Worshiping Community in Ralston. Approved the appointments of Hannah deFreese to the Nebraska Lutheran Outdoor Ministries Board of Directors and Bruce Plath to the Immanuel Communities Board of Directors. Appointed Rev. James Sells as chairperson of the Nominating Committee and Rev. Liz Backus as the Metro Urban Cluster representative to the Nominating Committee.